Looking to create a React front-end with an ASP.NET Core back-end? You have two clear options. 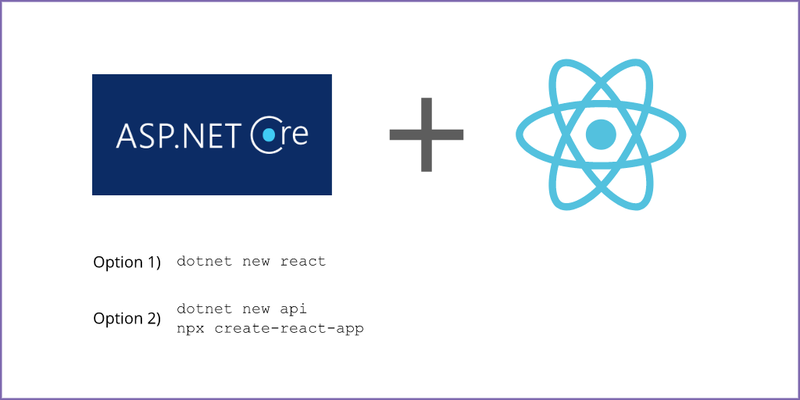 This option will create a single project containing both the Web API back-end and React front-end. All it takes is a simple command. (Or you can achieve the same result using Visual Studio). So long as you’re using the latest version of the templates and targeting ASP.NET Core 2.1 (or above) this will create a single project with two parts. First spin up a new Web API project. (or use the Visual Studio “new project” wizard). And separately create a React application. 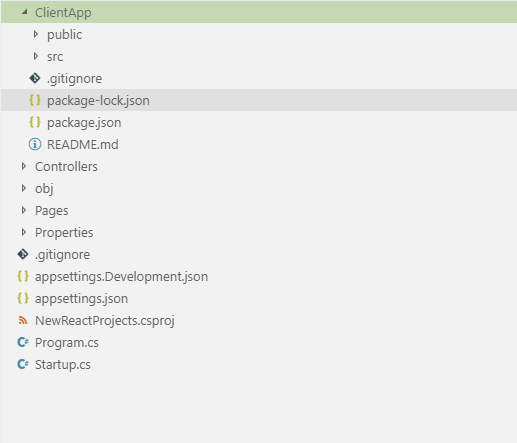 And separate React app (using Typescript in this case). Each part of the app can be deployed separately, stored in different Git repositories etc. Since MS adopted the official create-react-app templates for ASP.NET 2.1, the gap between the two options has shrunk quite a bit. Either option is viable; the React app you end up with will be the same in either case. In summary, it’s probably more important to pick one and get on with building your app than to spend too much time deciding between them! Looking to level up your ASP.NET/SPA skills? Get the next post delivered straight to your inbox. You'll get ASP.NET and front-end advice, guidance and useful tips from me once a week (or so). I respect your email privacy, unsubscribe at any time. It makes sense to reference the dev version of a .js library on your machine, but what about when you go live?